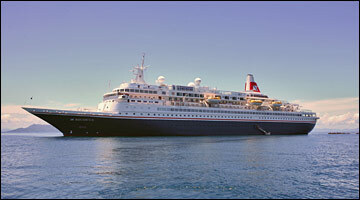 Up to 880 guests enjoy the beautiful Boudicca, with her sense of class, style, elegance and traditional cruise experience. Sail in comfort, indulging in ample space, fantastic restaurants, lounges, bars and facilities. Delicious dinners in the Four Seasons, Tintagel or the Heligan Room restaurants, dips in one of the three heated pools, shows in the Neptune Lounge and more await you. 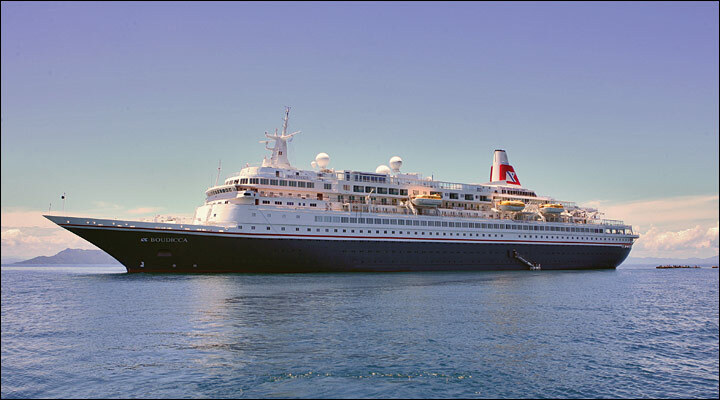 With renowned personal, attentive service from staff onboard, your time on Boudicca will offer plenty opportunities to enjoy, relax, explore and make friends with like-minded travellers.